Every year I go back to my hometown to celebrate Chinese New Year with my folks and brothers. 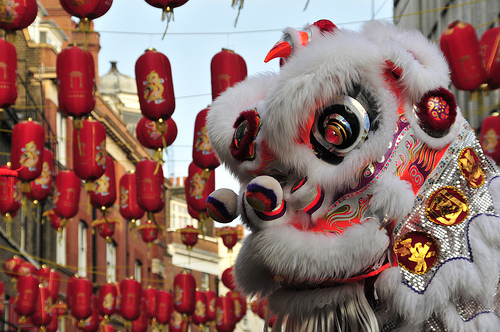 Chinese around the globe will celebrate the first day of the lunar calendar this coming Monday, January 23. While I have my share of happy moments during CNY (especially when I was small), there is one thing that I can’t stand that pops up during the Spring Festival. Many self-proclaimed Chinese asstrologists and feng shui masters appear on TV, radio, and newspaper and will predict how the new year will unfold and what is auspicious and what is not – in the areas of wealth, health, career, and love. For Chinese, of course, the tips are given according to your animal zodiac. What drives me crazy is the predictions are just too general and the advice given is too universal that you don’t need an expert to tell you what to do. That means if you are born in the year of the snake, you will share the same “fate” with the rest of fellow snake babies who were born in the same year. Eat healthy. Don’t break law. Invest carefully. Be sensitive to people. Be patient. Spend wisely. Aren’t these things you already know? Do you need them to tell you the obvious? Some experts even ask you to buy ornaments to put in the south-west corner of your house so that you’ll have a smooth sailing year ahead. Although you don’t have a choice to pick where you were born, but there are things in life that you can change. What you do today determines your tomorrow. Heard of the saying: You reap what you sow? Your life is not bound by what the experts or asstrologists say. You have the free will to do what you want and you have the power to control your destiny. Don’t get me wrong, apart from this “little” complaint, I STILL enjoy CNY. Best of all, I enjoy the time being together with family and friends. This is the best time to catch up with friends and relatives, far and near. I also take this opportunity to let my children to mingle with friends that we don’t meet that often. I want to show J and K family togetherness and friendship are an important part of our lives. Of course, what’d CNY be without mandarin oranges and lion dance… and yeah, the food! Happy, Healthy, and Wealthy Chinese New Year! May you and your children be well and happy. Note: In fact my upcoming parenting book will contain no predictions but real life tips that you can use immediately. Should be ready soon, I think. To hop on the notification list, click here.